The results for IIT JEE Main 2017 was announced on Thursday. Secunderabad, April 28: A son of a samosa seller is in news for clearing the Joint Entrance Examination (JEE) Main 2017 and for securing his place among 100 rankers. 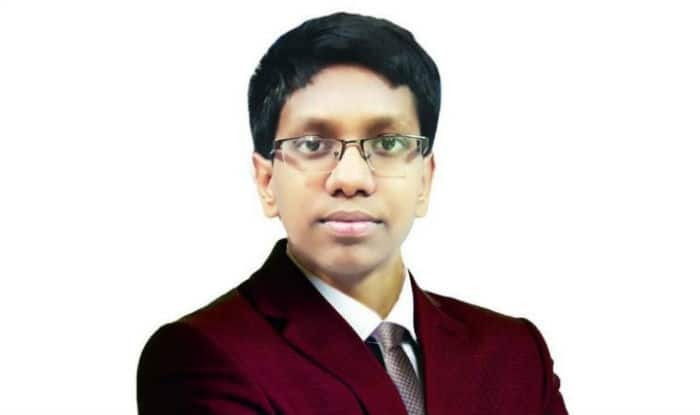 Vabirisetti Mohan Abhyas, a 16-year-old engineering aspirant from Hyderabad secured All India Rank 6 in the prestigious entrance examination conducted for various engineering colleges, including the premier Indian Institute of Technology (IITs). Vabirisetti Mohan is among 30 students from Andhra Pradesh and Telangana who secured their positions among top 100 rankers in the JEE Main 2017. Along with Vabirisetti Mohan Abhyas from Hyderabad, another student D Varun Tej Chowdary from Nizamabad bagged the ninth rank in IIT JEE Main. The results for IIT JEE Main 2017 was announced on Thursday. While talking to Hindustan Times, Abhyas said, “I decided to do engineering at IIT when I was in Class 8 and I never lost my way in achieving the goal. I attended all the classes regularly and with determination to make it big in IIT”. On Thursday the results for the IIT-JEE Main 2017 was announced and Kalpit Veerwal, a boy from Rajasthan became the first ever in the country to score 100 per cent, or full marks of 360/360, to top the prestigious exam. Kalpit’s father Pushpendra Veerwal is a compounder working at the MB Government Hospital while his mother Pushpa Veerwal is a school teacher. Kalpit is planning to pursue computer science from IIT Bombay.